When Lenina and Bernard visit a savage reservation, we experience how Utopia can destroy humanity. 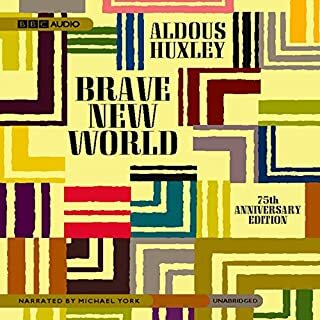 Cloning, feel-good drugs, anti-aging programs, and total social control through politics, programming, and media: has Aldous Huxley accurately predicted our future? With a storyteller's genius, he weaves these ethical controversies in a compelling narrative that dawns in the year 632 A.F. (After Ford, the deity). When Lenina and Bernard visit a savage reservation, we experience how Utopia can destroy humanity. Golden Globe-winning actor Michael C. Hall (Six Feet Under) performs Truman Capote's masterstroke about a young writer's charmed fascination with his unorthodox neighbor, the "American geisha" Holly Golightly. Holly - a World War II-era society girl in her late teens - survives via socialization, attending parties and restaurants with men from the wealthy upper class who also provide her with money and expensive gifts. Over the course of the novella, the seemingly shallow Holly slowly opens up to the curious protagonist. "Better to look at the sky than live there"
It is a tale of ghosts, of madness, of revenge - of old alliances giving way to new intrigues. Denmark is changing, shaking off its medieval past. War with Norway is on the horizon. And Hamlet - son of the old king, nephew of the new - becomes increasingly entangled in a web of deception - and murder. Beautifully performed by actor Richard Armitage ("Thorin Oakenshield" in the Hobbit films), Hamlet, Prince of Denmark takes Shakespeare’s original into unexpected realms, reinventing a story we thought we knew. Narrator Dan Stevens (Downton Abbey) presents an uncanny performance of Mary Shelley's timeless gothic novel, an epic battle between man and monster at its greatest literary pitch. In trying to create life, the young student Victor Frankenstein unleashes forces beyond his control, setting into motion a long and tragic chain of events that brings Victor to the very brink of madness. How he tries to destroy his creation, as it destroys everything Victor loves, is a powerful story of love, friendship, scientific hubris, and horror. Public Domain (P)2013 Audible, Inc. This is a dramatically different story than the one prevalent and accepted as "Frankenstein" in popular culture. Here is a nuanced and profound examination of a creation's relationship with his creator. Suffering, described through both the creation and the creator, is explored extensively. Abandonment, desire, hope, rage, and tragedy are all present in abundance. One could easily replace the Monster with humanity and Frankenstein with God. And, in fact, it would be severely questionable if someone asserted that was not Shelley's intent. Of course, this is also an exploration of humanity's obsession with the advancement of science and the potential fallout from such leaps. In this regard, I fully agree with many who view this as one of the earliest (if not the first) forays into science fiction. Stevens does an amazing job with the narration and every word sprang out drenched with emotion. It was read almost as poetry, with perfect delivery and nuance. All in all a brilliant listen and absolute required reading. 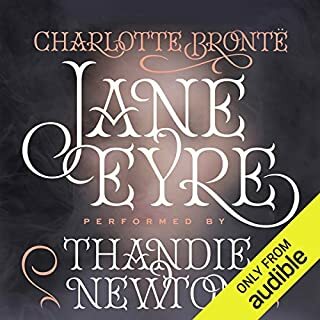 I've never liked to read and am new to audio books, so I don't have much of a basis for comparison, but this was incredible. The voices and feeling of the reader brought to the story a life that I would have never experienced had I tried to read it myself. I understand why this is a classic. It's an exquisite, deep tale of love, pain, and regret. Everyone should hear it. I always knew it was a book that influenced other works, but I now see that Frankenstein is one of the most complete and best stories of its kind (specifically, horror stories and stories about men toying with God's powers). Also, narration was fantastic. Dan Stevens reads perfectly and his different voices are incredibly good and consistent. At one point, I went to look up whether the narrator was actually German because I heard these perfect little hints of accent during the chapters that are narrated by Victor Frankenstein. Yet during the chapters narrated by the monster, he does another voice that makes it immediately clear not only who is speaking, but that conveys really well the monster's unique mix of seductiveness and horror, sophistication and ignorance, misery and malice. Likewise for all other speakers in the book. I purchased this book expecting a great story about a giant monster and the struggle to kill it. What I found was one of the greatest, and most emotionally complex stories I've ever read. By the end, I came to the inescapable conclusion that the villain/monster of the story is Frankenstein, not his creature. The creature is the victim. The victim of a creator so consumed with selfishness he abandoned his creation because of how the creation made him feel. Taken in proper context, the actions of the creature are understandable, but not excusable. There is always personal responsibility. But there is a modicum of understanding for the creature, abandoned to his fate by a cruel and selfish creator, who seeks vengeance on his creator for denying to the creature what he enjoys. I had to read this book for my AP literature class, and it is by far the best book I have read for an English class so far. Mary Shelley was far ahead of her time, on terms of her insights into human nature. The narration was very good as well. Dan Stevens does a good job of creating a unique voice for each character. What made the experience of listening to Frankenstein the most enjoyable? 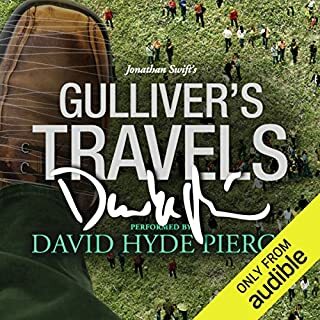 I think Dan Stevens is one of the best audiobook performers I have ever heard. He brought this story to life. It was so easy to just get into the story and actually have sympathy for both Frankenstein and the monster he created. I did not expect that as I have always thought of this book as a horror story. The monster. I felt sorry for him and was surprised by that. When he told his story, the reader could understand how alone he felt . He enjoyed the beauty of the earth was eager to learn about the world and the people he encountered. He just wanted to be loved like everyone else, but that would never happen so he did indeed become a monster. No, I enjoyed listening to it a bit each night or in my car on the way to work. You will come away with a new appreciation for this beautifully written work. 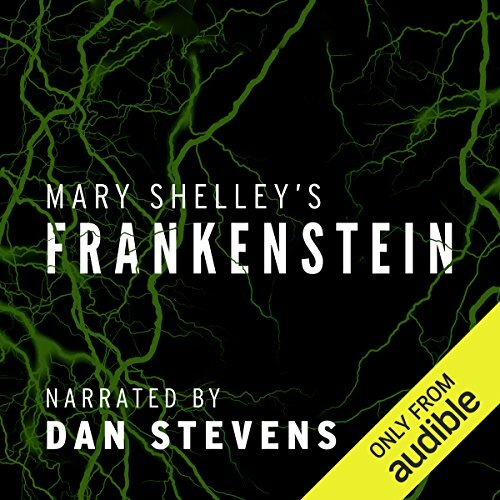 I never had the opportunity to read Mary Shelley's classic horror story but listening to the incredible narration by Dan Stevens was a fantastic way to experience this masterful piece of writing. The book is at turns exciting, action-packed, sad and dramatic. Dan Stevens' nuanced performance captures every mood from every character. Three months after listening to this book and I'm still thinking about it. This could be my favorite Audible book of all time. Victor Frankenstein is overly ambitious student with a god complex who manages to create a “hideous creature,” with an innocent and pure soul, and completely abandons the creature to experience the cruelty of the world. This work is still striking and genius almost two hundred years after its publication. Mary Shelley was a teenager when she wrote this. Good God! Performance was absolutely stunning. It's impossible to imagine a better rendering of Mary Shelley's classic novel. Dan Stevens imbues Shelley's ornate prose with intelligence and sentiment. The quality of the recording is first rate. In short, a peerless performance. Dr. Frankenstein is surely one of the least sympathetic characters in literature. The use of language is eloquent. The narrator excellent. A good performance of a great story. An unaltered version of Shelley's fantastic and unsettling narrative. The narration is accurate throughout; the only thing stopping me from giving 5*s is that the reselling lacks a little emotion in places. One could argue that this is reflective of the characters themselves, but I felt a little more vitality could have been given to the retell ing. Otherwise, a very good performance and well worth acquiring. Outstanding use of the English Language! The story is compelling and easy to see why it has stood the test of time. Dan Stevens narrates beautifully. I read the book as a youngster and felt the urge to revisit as an adult. Stevens articulates well and characters are easily distinguished . highly recommended. I had never actually read Frankenstein but over the years I pretty much grew to know the entire story. Listening/ reading the book I must say It's extremely well written and amazing for someone so young to have such depth and emotion in her dialogue. 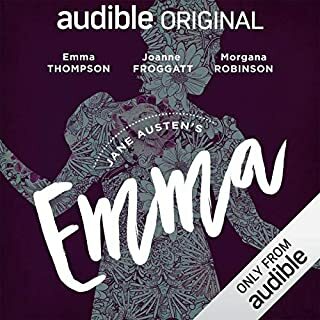 Really enjoyed this audiobook but Dan Stevens’ affected voice for the monster made parts especially hard to get through. The constant ‘woe is me’ affected droning made it very hard to sympathise with the monster. Other than that, his narration was great for everyone else and the story as a whole still stands strong. Expected the story to seem very dated but was pleasantly surprised. Superb bit of beautifully crafted storytelling. And the narration was superb, appropriate and utterly flawless. The narration was superb. I was thoroughly entertained throughout. I might listen to it again. There is a reason this book still resonates after two hundred years. Totally different to the various film adaptations, an epic tragedy I would urge everyone to experience. It is relentlessly miserable, with salvation and redemption for none, so perhaps not all in one sitting. I couldn't get into the narration. Dan was too incessantly dramatic and as the story veers between dramatic and quite descriptive it needed to be more deadpan. The changes in accents were a pleasant surprise, they made a vast difference, especially in such a narrative style as Shelley’s. Shelley is a master of words amd Stevens’ performance does those words justice. Frankenstein is such a classic but I was reluctant to read this after reading Dracula and hating it. When I saw this edition with Dan Stevens as narrator I took the plunge. It was a little slow to start, taking the form of an epistolary novel with no mention of either Frankenstein or the monster, but I persevered. I was really absorbed in the plot and Stevens voice is very easy to listen to. He also gave distinct voices to the main three narrators so it was easy to keep track of who was talking in the audio format after I stopped listening and restarted. Highly recommend reading this sci fi classic in this format. The invention of a genre is always an interesting read. Mary Shelley's classic, and the worlds first, science fiction novel is brought to life by the animated and enthralling voice of Dan Stevens. His characterisation is involved but does not go into the silly or stupid. You are never yanked out of the stories captivating grasp, but encouraged to lose yourself in the story and the characters. A classic read with passion. The story is written in such a beautiful and poetic language and narrated in equally a beautiful way. My only criticism is this: the narration of ‘the wretch’ was a little overdone at times. 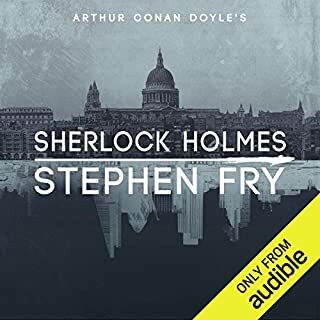 Having said that, I thoroughly enjoyed this audiobook and would recommend it to anyone wanting to tick this off their list! A dark and powerful story, and Dan Stevens a wonderful actor who brings it to life beautifully. Wonderfully written and magnificently told !! Hard to believe it was written by such a young woman. I loved it ! An incredibly true story of the world of man as god, and a foremost commentary on the question of humanity. Mary Shelley carries an amazing vocabulary and asymmetrical ability to express the farthest reaches of thought and feeling. Her commentary is profoundly genius, and deserves meditation for the duration of anyone’s reading life. It's not a really eventful story, the plot is rather simple, but the art of storytelling and the literature is quite rich. It's the opera of novels! 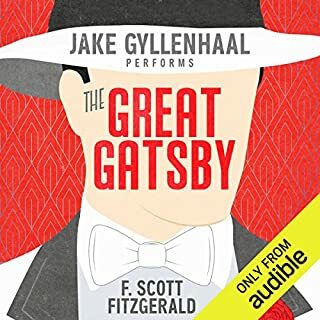 I've been binge listening to alot of audio books recently and this one's the best. Awesome book and narration. Thought provoking in sections and the very different perspective of the old world was refreshing, but the self-pity wore on me. Perfectly good performance.